A hardiness zone defines what kinds of plants can grow in a specific geographic area. The classification is defined by climatic conditions, especially the low temperatures that a plant can withstand. A plant might be labeled as “hardy to zone 10,” which means that the plant can withstand a minimum temperature of -1°C. Another type of plant labeled “hardy to zone 9” can handle a minimum temperature of -7°C. 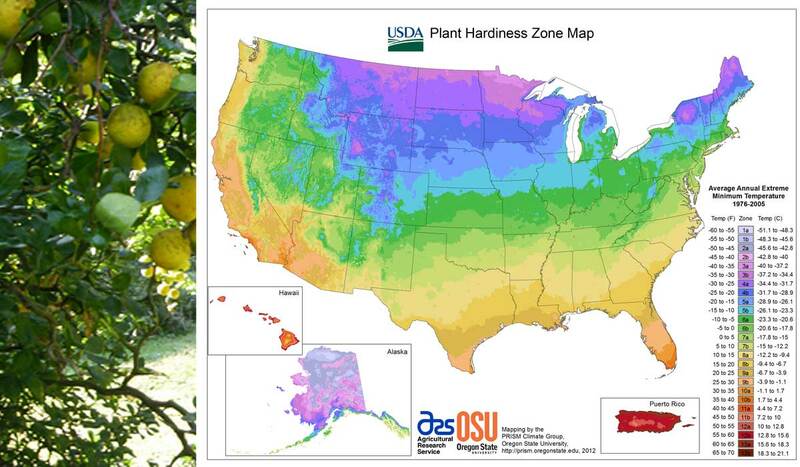 The USDA recently released a new plant hardiness zone map. The updated map is based on the past twenty years of temperatures and conditions from 1976 to 2005. The temperatures in the U.S. are in general two-thirds of a degree higher than before. The new updated map has rezoned many areas, generally one half-zone warmer than the last map in many areas of the United States. States such as Ohio, Texas, and Nebraska are now in a warmer zones. Overall, the temperatures in Winter are not as cold as they used to be. The growing season is longer, and gardeners can grow and harvest plants for a longer period of time than 20 years ago. Is this an indicator of climate change? Is the earth warming up and influencing our environment? There is no official report about this in relation to the updated map. In Ohio, most of the state moved from zone 5 to zone 6 under the Department of Agriculture’s revised map. I just looked at some gardening sites online, to see what can grow in Zone 6. Big news, there is one type of orange tree (Flying Dragon) and a few varieties of figs (Celeste, Chicago Hardy, LSU Gold, LSU Purple, and Magnolia) that can grow in Zone 6, which means that oranges and figs can now grow in Ohio. Do you think that the earthquakes over seas have had any impact on the environment. I had read an article or seen a show on it, that the earthquakes in Japan may have thrown the earth of by a minimal degree….maybe?